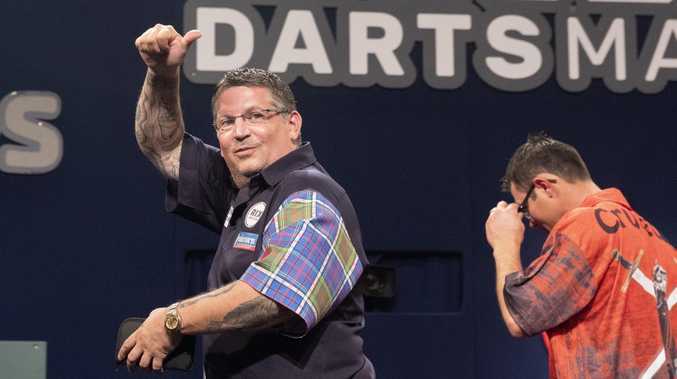 Professional dart players Gary Anderson and Wesley Harms have caused a stink by accusing each other of farting onstage. Two-time world champ Anderson blew away Harms 10-2 to book a quarterfinal spot at the Grand Slam of Darts in the UK overnight. But world No. 4 Anderson, 47, hit back, suggesting it was Harms who left the unpleasant smell. 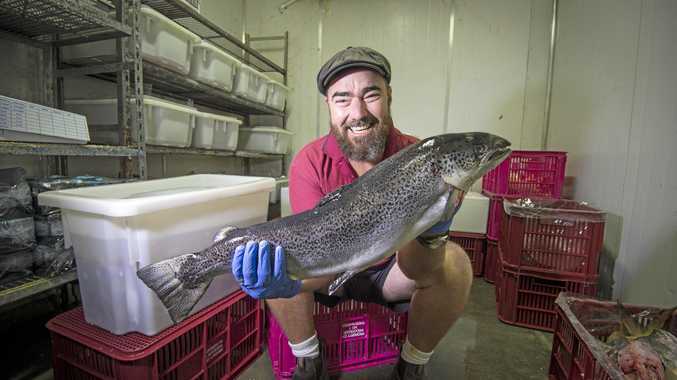 "It definitely came from table-side and it was eggs, rotten eggs, but not from me," Anderson said. "It definitely wasn't me. I thought he had a s*** and I went 'That's dirty'. "It was bad. It was a stink. Then he started to play better and I thought he must have needed to get some wind out. Harms reckons he noticed a "fragrant smell" on the stage, which he believed to have been left by Anderson. He let rip to Dutch TV channel RTL7, saying: "It'll take me two nights to lose this smell from my nose. I didn't know things like this can also happen within the PDC (Professional Darts Corporation." "If the boy thinks I've farted he's 1010 per cent wrong. I swear on my children's lives that it was not my fault," he added. "I had a bad stomach once on stage before and admitted it. So I'm not going to lie about farting on stage." Anderson added: "One player did it quite a lot but I'm not going to say any names. Everyone will know who I'm talking about. But I was born with manners if I actually did that I'd go as far away as possible to the edge of the stage." Anderson, PDC king in 2015 and 2016, also revealed he "needs a new body" after struggling with a back problem. "I have restricted movement in lifting my left arm and my back is still bad, it's been a year now like that," he said. "I've trapped something in my neck. The biggest problem is my left arm, though. "If I have a couple of weeks off, my back is then fine. If I have two weeks solid playing darts, I'm crippled again. It just must be the way I'm standing. I'll struggle on."